JetBlue is bringing back its popular All-You-Can-Jet pass that allows customers to travel to an unlimited number of cities over a one-month period. The $699 pass is valid seven days a week for flights between Sept. 7 and Oct. 6, JetBlue Airways said Tuesday. Travelers can also choose a $499 pass that excludes travel on Fridays and Sundays. Last year, the first time the passes were offered, they sold out in two days. The cost is $100 more this year for unrestricted travel. The wildly popular promotion is rolling out just a week after Steven Slater, the now-infamous JetBlue flight attendant, cursed out a passenger over a plane's loud speaker and made a quit exit down the emergency slide with beer in hand. The passes are also being issued during a traditionally sluggish travel period wedged between the summer vacation and winter holiday seasons. The sale runs through Friday and can be booked online. There is a limited number of passes, which sold out sooner than expected last year. All travel must be booked between Aug. 23 and Oct. 3. 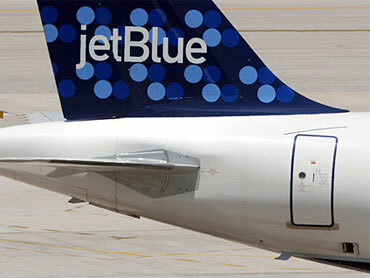 Travelers must also join JetBlue's frequent flier program, TrueBlue, to participate. The pass brought huge exposure last year to the 10-year-old airline, as customers documented their travels on Facebook and Twitter. Travelers used the pass for tours of everything from the nation's sports stadiums and music meccas to 30-day job searches. The airline flies to domestic spots and the Caribbean.